October is almost over, and the leaves are starting to display their usual spectacular colors thanks in part to a warm, wet month. 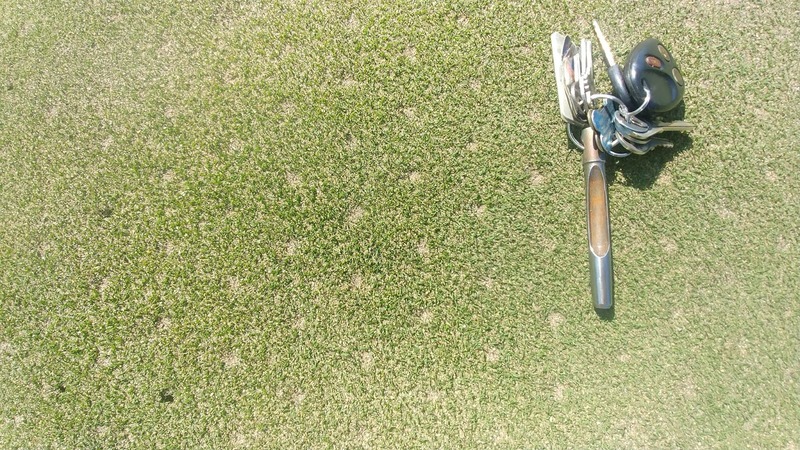 The warmth also allowed us to have a successful aerification season and heal in all signs of it quite quickly. There are still some great days in the forecast for you to enjoy your golf course, and we hope to see you out as we begin to tackle mulching all those beautiful leaves when they fall off of the trees. 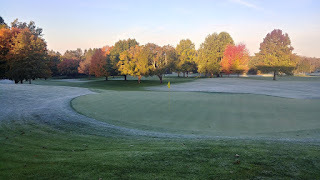 As the lead picture of 18 green showed, we had our first frost last Thursday morning, or about 3 weeks later than normal. The arrival of frosty mornings serves as a good reminder why we delay tee times when there is frost. Frost is essentially frozen dew. It can form when the temperature approaches near freezing. The ice crystals that form on the outside of the plant can also harden or freeze the cellular structure of the plant. When frost is present, the normally resilient plant cells become brittle and can be easily crushed internally or pierced like a knife from the outside ice crystals. When these cell membranes are damaged, the plant loses its ability to function normally. Think of this like cracking an egg: once the shell is broken, it cannot be put back together. Although damage will not be immediate, the proof will emerge within 48-72 hours as leaves turn brown and die. As the picture left shows the typical foot traffic of a normal foursome on a green, damage could be extensive if played or mowed during frosty conditions. Recovery from frost damage can take several weeks depending on weather. For more information on frost delays, here is a link to a great USGA video explaining them. 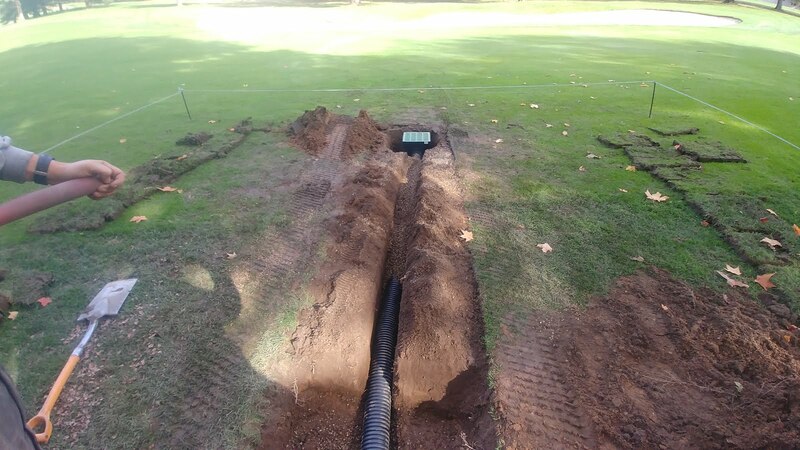 The staff also installed a catch basin and drain tile along 17 fairway last week. Through the year, this area opposite the fairway bunker had developed poor drainage conditions. This catch basin will capture much of the water that collects and divert it into the rough. We will also have our contractor deep tine this area to improve the water percolation of the soil November 6th. Severe example of what winter can bring! Raising mower heights. 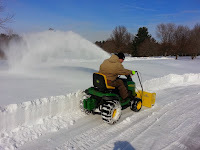 Throughout the next 3 weeks, I will raise the height of cut on greens from the normal height of .120″ to .135″ slowly. Raising height of cut allows more leaf surface for the turf to maximize their photosynthetic capabilities and carbohydrate storage. Raising height will also lessen stress to the plant and create a deeper root system going into winter. While raising heights may not create the speeds that summer brings, it is best for the long term health of the greens going into winter. Aerification. 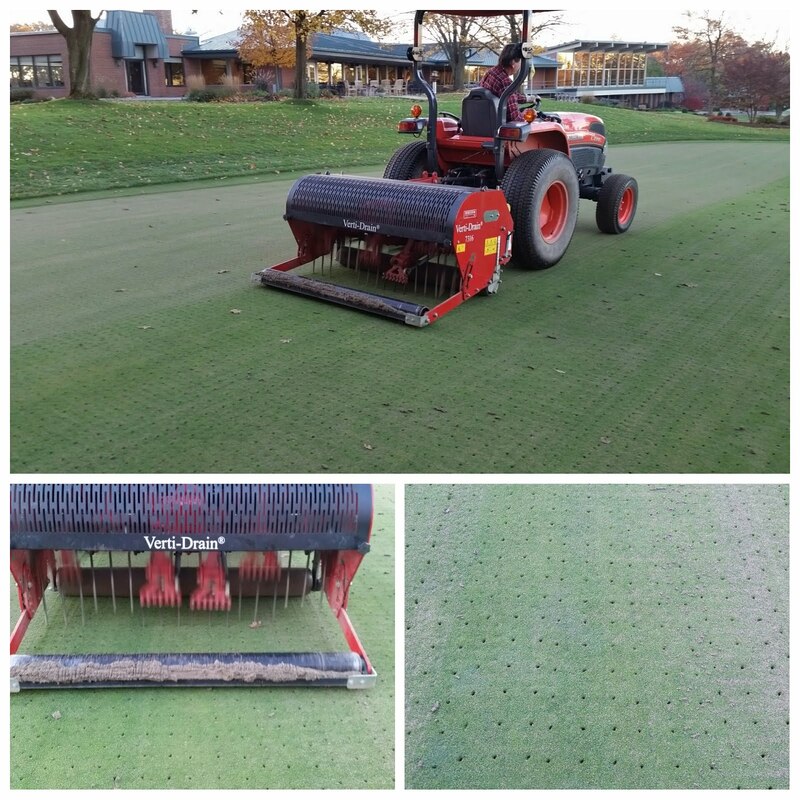 On November 6th, we have a contractor coming in to perform solid tine aerification to a depth of 10″ on all greens. These extra holes create three advantages: additional channels for spring root growth, aid in relieving any deeper compaction within the rootzone soil profile, and extra drainage capabilities for ice/snow melt to prevent ice formation on the plant surfaces. 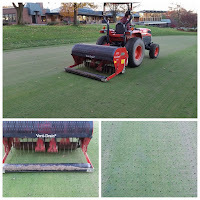 The greens are rolled immediately after being aerified, and these holes do remain open throughout the winter for the above mentioned reasons. If you have any questions, please email me at ryan@elconacc.com. Have a great week and I hope to see you out on the golf course! 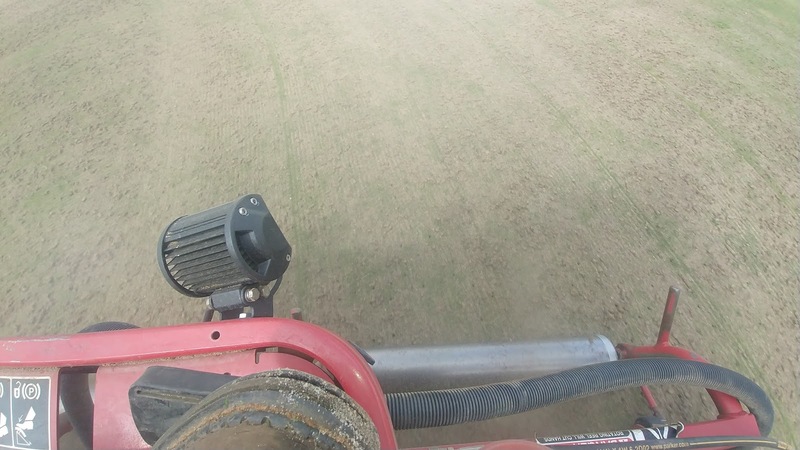 Plugs are chopped up with our verticutting machine, and the resulting soil is brushed back into the holes. With the current muggy, cloudy conditions and the increasing chances of rain in the forecast for today, we will be postponing back 9 greens aerification. 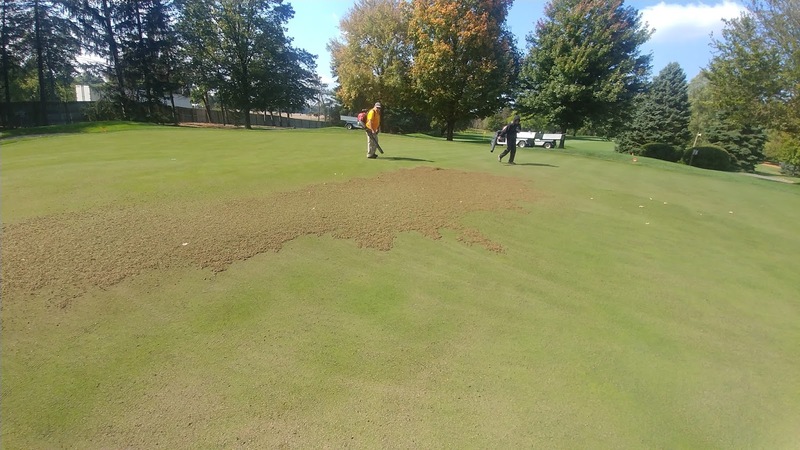 We will perform this necessary practice on Monday, October 9th, which is a closed day for the golf course. Fairway aerification will start the following day, with all 18 holes open during that process. Cores removed from aerification must be completely dry for us to remove them successfully without making a muddy mess. 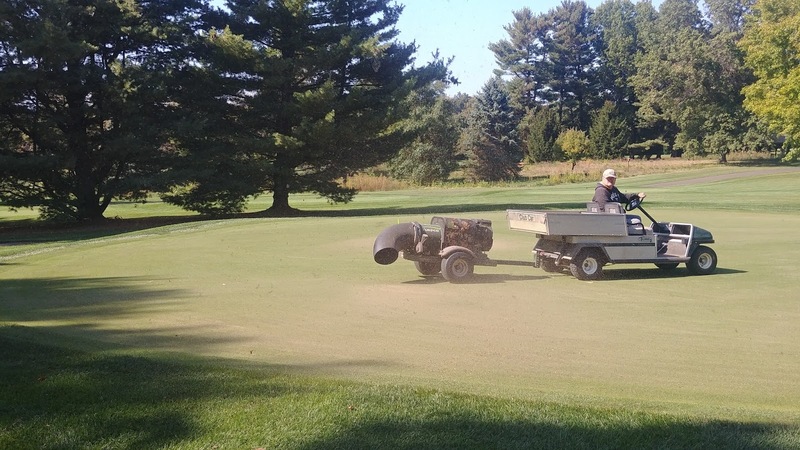 The topdressing and brushing process also needs complete dryness for a successful result. It is my opinion that we will not have an adequate drying window today. 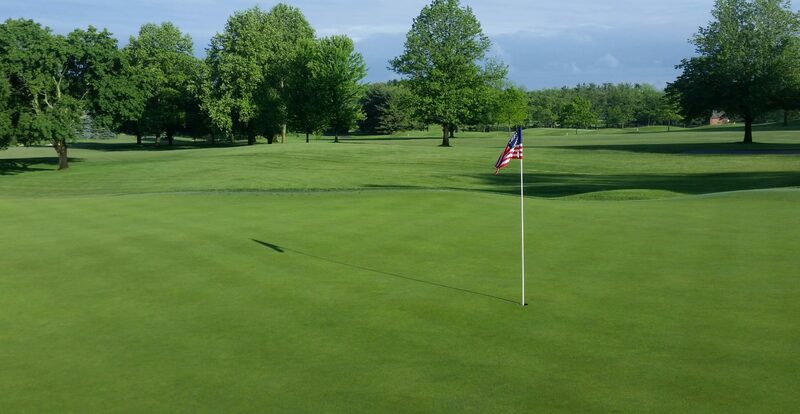 For the weekend, the front 9 greens will be rolled daily. The back 9 greens will be mowed and rolled as they would be normally. 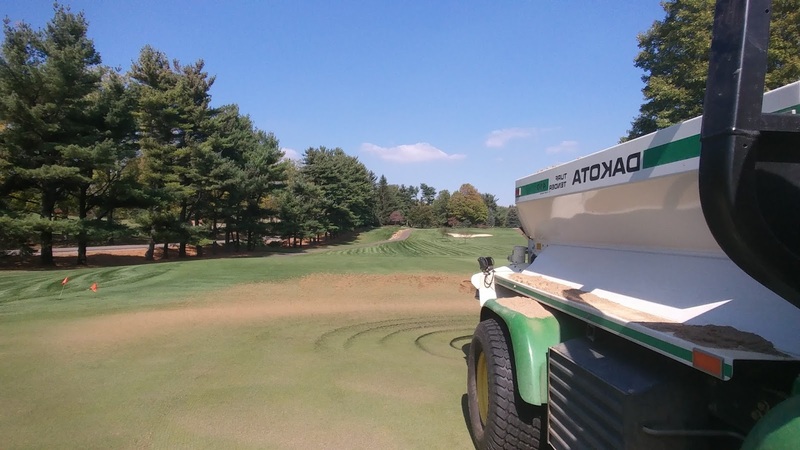 Any additional sand that is necessary will be applied when weather allows.